The program is for you to make a one-time donation to help the community. Your donation will be divided up among the organizations that you have chosen. If your favored group is not listed among the Southeastern Wisconsin Coalition of Organizations, you can list whatever organization you wish to support. Gifts that do not specify a particular group will be used to provide grants throughout the year. 100% of all funds given to this program are distributed annually or semi-annually. 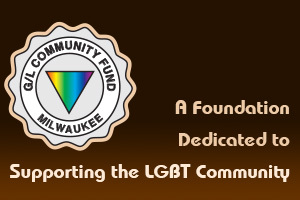 Grants are made to small LGBT groups in the Milwaukee Metro area. Letters of intent may be submitted at any time. To donate to Any Other Organizations of your choice: Click HERE to download donor form. OR donate to the Your Choice Program through the mail instead, please Click HERE to download our donation form. To donate to Any Other Organizations of your choice: Click HERE to download donor form. OR donate to the Your Choice Program through the mai instead,please Click HERE to download our donation form.